National Trail hosted the 25th Annual Preble County Spirit Day on Sunday, Jan. 27. 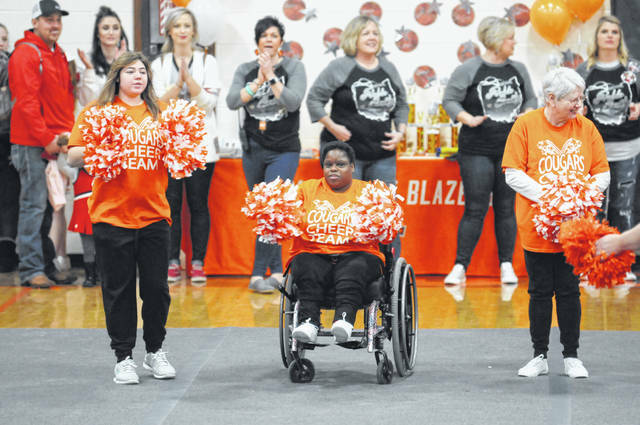 A standing room only crowd packed the Blazer gym for an afternoon full of spirit as cheer squads from all five county schools from elementary to high school dazzled those in attendence. 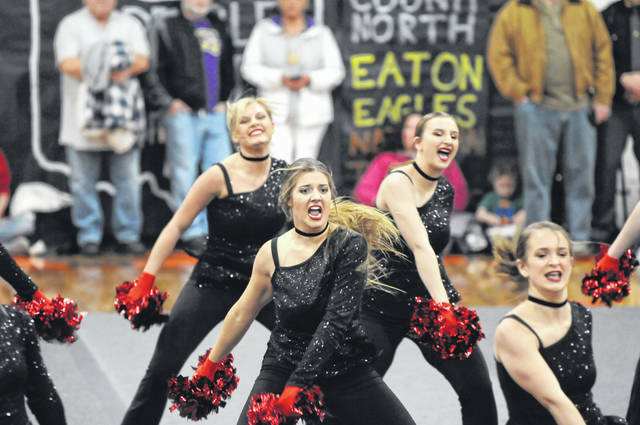 NEW PARIS — National Trail hosted the 25th Annual Preble County Spirit Day on Sunday, Jan. 27. 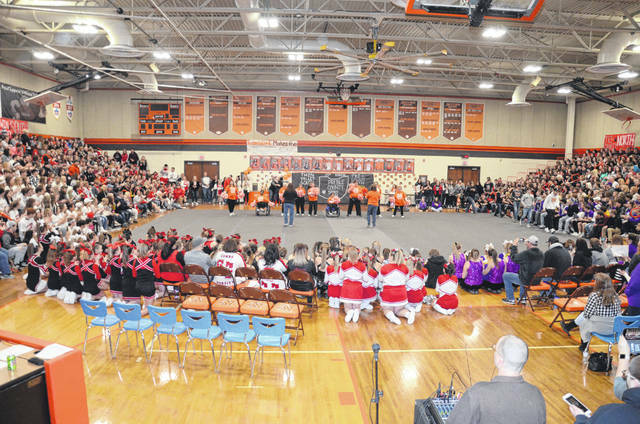 A standing room only crowd packed the Blazer gym for an afternoon full of spirit as cheer squads from all five county schools from elementary to high school dazzled those in attendence. 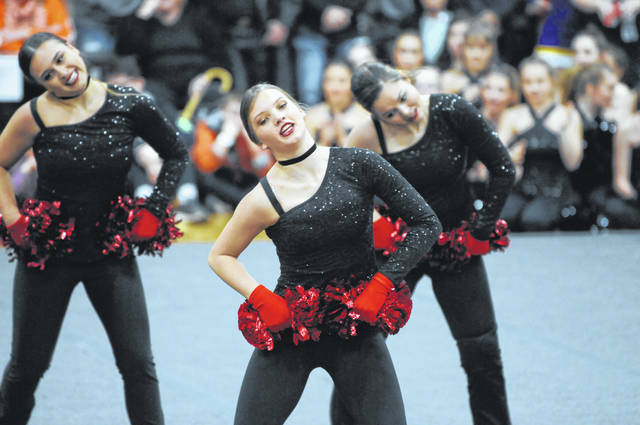 Results: Varsity Dance — 1st, Twin Valley South, 2nd, Tri-County North, 3rd, Eaton; Junior High Cheer — 1st, National Trail, 2nd, Preble Shawnee, 3rd, Eaton; Varsity Cheer — 1st, National Trail, 2nd, Eaton, 3rd, Preble Shawnee; Elementary Gametime — 1st, Preble Shawnee, 2nd, National Trail, 3rd, Twin Valley South; Junior High Gametime — 1st, National Trail, 2nd, Preble Shawnee, 3rd, Tri-County North; High School Gametime — 1st, National Trail, 2nd, Preble Shawnee, 3rd, Eaton; Senior Boys Dance — 1st, National Trail. Junior High Dance — 1st, Twin Valley South. Rachel Kimball of National Trail was the recipient of the Preble County Spirit Day Scholarship. For the seventh straight year Preble Shawnee won the Julie Mattis Sportsmanship award. For the 25th anniversary of the event, alumni cheerleaders were invited back to perform their respective schools fight song. 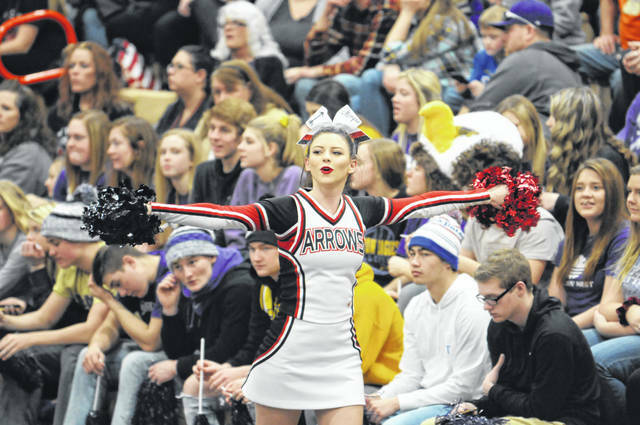 The Preble County Cougars cheer team opened the event with a few cheers as they have the past several years.